The clubof.info Blog: West dissidents go after Vladimir Putin? As Vladimir Putin steps up his opposition to US hegemony in Syria, Ukraine and other theaters of confrontation between the powers, supporters of US global dominance demonize all their critics as supporters of Putin. In response to the demonization, some Western dissidents are starting to focus their criticism partially on Russia and its President Vladimir Putin. Any criticism of Putin will suffice, even if it doesn't make any sense. This new behavior is based on hysteria and the intense fear of being dismissed as "apologists" for Putin. Severe punishment is already given to Western journalists for being supportive of Russia or even for being neutral on issues to do with Russia. Journalists have been fired or denied a platform even for being suspected of sympathizing with Vladimir Putin. Recently, new laws are being drafted in the United States to make anti-Russian propaganda the official editorial policy of all news media establishments. The hysteria produced by such moves is pushing some major dissident journalists and celebrities into issuing anti-Russian remarks, often with no idea what they are talking about. Because these celebrated dissidents had dedicated their lives to criticizing their own governments, not Russia, they find themselves not knowing what to say to satisfy the hysterical anti-Russian media. Take a look at the different examples below, ranging from the noblest to the most sold-out dissidents. The noblest. The example of a Western dissident who still doesn't criticize Russia at all despite the hysteria, Edward Snowden leaked information on US illegal domestic surveillance against its entire population. He is a particularly obvious victim of demonization as a pro-Putin spy, due to being lost in transit in an airport in Moscow when the US cancelled his passport and later having no choice but to claim asylum in the Russian Federation. However, Snowden (as well as former Guardian journalist who covered Snowden's story, Glenn Greenwald) has maintained his belief that the US is the primary threat to civil liberties and human rights in the world. Not Russia - and Snowden realizes it is his prerogative as an American to criticize his own "regime" in the US rather than Vladimir Putin's government. Julian Assange, who is also accused of being an agent or otherwise instrument of Putin, has made some token effort to make it look like he not only criticizes the West but also Putin. He has met with members of the anti-Putin group P***y Riot, although it isn't clear that he really supports them or the dark figures at the US Capitol who made them into celebrities. Assange also confused many in the audience at a televised RT network anniversary discussion, when he claimed that Russia would definitely shoot down British warplanes if they were operating in Ukraine. This, despite the fact that Russia has not directly shot down any warplanes in Ukraine to date, including Ukrainian ones engaged in bombing pro-Russian rebel forces in Donetsk and Luhansk. Assange seemed to argue that Russia is hypocritical to condemn Turkey's shooting down of a Russian bomber aircraft in Syria, as the downing was typical of the perfidy of the Russian government itself. However, the claim is ill-considered at best and tongue-in-cheek at worst. Perhaps Assange only said it to confuse some of his own critics, who might have seen him as a Russian agent. Whatever the case, Assange's anti-Russia comment was of poor quality, and not quote-worthy material for anyone who wants to actually build a case against Putin. 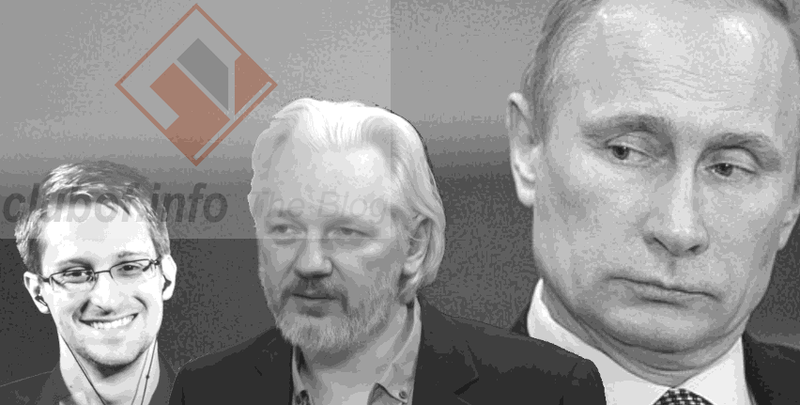 No political ammunition was really given by Assange for attacking Putin. @OwenJones84 It is hysterical and very cowardly to write an article like this just to escape being accused of supporting #Putin. Although not as extreme as the next case, Owen Jones wrote a recent shallow article in the Guardian called "Putin is a human rights abusing oligarch. The British left must speak out". Again, as with the Assange remark above, there is nothing quote-worthy in the content there for anyone who really opposes Putin. It appears to be a token article, designed less to support Putin's opponents and more to make Owen Jones look like a "good boy" who the British press will still be happy to tuck into bed. The actual content just doesn't make any sense and is a dummy case, useless to anyone who opposes Putin. Jones calls for leftists in Britain and the West in general not quite to protest against the Kremlin instead of our own government (as our next case does), but to hope for regime-change in Russia by leftists who oppose Putin. No analysis of Russian politics is given, Jones does not elaborate which "leftists" he is talking about, and the actual leftists in Russia overwhelmingly praise Vladimir Putin's record and have no desire to overthrow him. Jones did subsequently tweet something about Russia's bombing of ISIL as an example of a Russian crime to be criticized alongside Western crimes. However, Russian actions in Syria are massively different from the West in the sense of being legal and based on an indigenous request for help, which differs starkly from Western imperialism. The level of cross-party support in the Russian political spectrum for Owens' "Putin regime" is massive, and the "embattled democrats and leftists" in Russia to whom Jones is appealing don't merit mention or consideration. Even Jones admits that they are too insignificant to mention by name, insofar as he does not mention them. Moreover, serious critics of Western foreign policy know that the anti-Putin groups in Russia are all funded by the US State Department. Jones knows it would be insane for him to support those groups and also maintain his role to "criticise Western foreign policy". The most extreme example. Even Owen Jones made a small jab at this guy in his aforementioned article, saying "there is something rather absurd about the baiting of the anti-war left for not protesting against, say, Putin or North Korea". Peter Tatchell's case is already covered by us. Read our special report on his warmongering and advocacy for "no bomb zones" which would require bombing Russians, Syrians and anyone else who gets in the West's way.